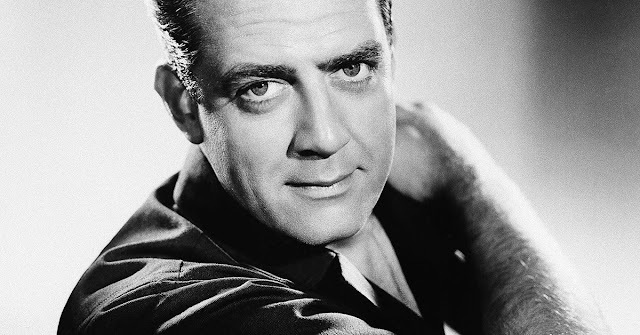 Raymond Burr was born today, May 21, in 1917. He was an actor, primarily known for his title roles in the television dramas Perry Mason and Ironside. Burr's early acting career included roles on Broadway, radio, television and in film, usually as the villain. 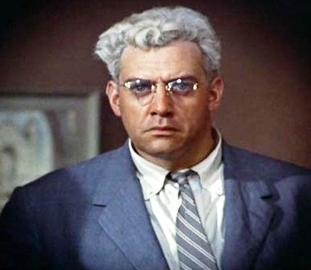 His portrayal of the suspected murderer in the Alfred Hitchcock thriller Rear Window (1954) is regarded as his best-known film role (right). He won two Emmy Awards, in 1959 and 1961, for the role of Perry Mason, which he played for nine seasons (1957–1966) and reprised in a series of 26 television films (1985–1993). His second TV series, Ironside, earned him six Emmy nominations and two Golden Globe nominations. Burr was born in New Westminster, British Columbia, Canada. When Burr was 6, his parents divorced. Burr's mother moved to Vallejo, California, with him and his younger siblings. Growing up during the Great Depression, Burr hoped to study acting at the Pasadena Playhouse, a renowned community theater and school in Pasadena, California, but he was unable to afford the tuition. In 1934, he joined a repertory theatre group in Toronto that toured throughout Canada, then joined another company that toured India, Australia and England. He briefly attended Long Beach Junior College and taught for a semester at San Jose Junior College, working nights as a radio actor and singer. He began his association with the Pasadena Playhouse in 1937. Burr moved to New York in 1940, and made his first Broadway appearance in Crazy With the Heat, a two-act musical revue. His first starring role on the stage came in November 1942, when he was an emergency replacement in a Pasadena Playhouse production of Quiet Wedding. He became a member of the Pasadena Playhouse drama faculty for 18 months, and he performed in some 30 plays over the years. He returned to the Broadway stage for The Duke in Darkness (1944), a psychological drama set during the French Wars of Religion. Burr's performance as the loyal friend of the imprisoned protagonist led to a contract with RKO Radio Pictures. It's a trim Raymond Burr with Barbara Payton in "Bride of the Gorilla"
Burr appeared in more than 50 feature films between 1946 and 1957, creating an array of villains that established him as an icon of film noir. Burr's most significant work in the genre include Desperate (1947), Sleep, My Love (1948), Raw Deal (1948), Pitfall (1948), Abandoned (1949), Red Light (1950), The Blue Gardenia (1953) and Crime of Passion (1957). "I was just a fat heavy," Burr told journalist James Bawden. "I split the heavy parts with Bill Conrad. We were both in our twenties playing much older men. I never got the girl but I once got the gorilla in a 3-D picture called Gorilla at Large. I menaced Claudette Colbert, Lizabeth Scott, Paulette Goddard, Anne Baxter, Barbara Stanwyck. Those girls would take one look at me and scream and can you blame them? I was drowned, beaten, stabbed and all for my art. But I knew I was horribly overweight. I lacked any kind of self esteem. At 25 I was playing the fathers of people older than me." Burr's occasional roles on the right side of the law include the aggressive prosecutor in A Place in the Sun (1951). His courtroom performance in that film made an impression on Gail Patrick and her husband Cornwell Jackson, who had Burr in mind when they began casting the role of Los Angeles district attorney Hamilton Burger in the CBS-TV series Perry Mason. As a young man Burr weighed more than 300 lbs., which limited his on-screen roles. "But in radio this presented no problems, given the magnificent quality of his voice," reported The Globe and Mail. "He played romantic leads and menacing villains with equal authority, and he earned a steady and comfortable income." In 1956 Burr was the star of CBS Radio's Fort Laramie, an adult Western drama produced, written and directed by the creators of Gunsmoke. He played the role of Lee Quince, captain of the cavalry, in the series set at a post-Civil War military post where disease, boredom, the elements and the uncharted terrain were the greatest enemies of "ordinary men who lived in extraordinary times." Burr told columnist Sheilah Graham that he had received 1,500 fan letters after the first broadcasts, and he continued to receive letters praising the show's authenticity and presentation of human dignity. In August 1956, CBS announced that Burr would star in the television series Perry Mason. Although the network wanted Burr to continue work on Fort Laramie as well, the TV series required an extraordinary commitment and the radio show ended. Known for his loyalty and consciousness of history, Burr went out of his way to employ his radio colleagues in his television programs. Some 180 radio celebrities appeared on Perry Mason during the first season alone. The series ran from 1957-1966. Burr received three consecutive Emmy Award nominations and won the award in 1959 and 1961 for his performance as Perry Mason. The series has been rerun in syndication ever since, and was released on DVD between 2006 and 2013. Though Burr's character is often said never to have lost a case, he did lose two murder cases in early episodes of the series. Burr moved from CBS to Universal Studios, where he played the title role in the television drama Ironside, which ran on NBC from 1967 to 1975. 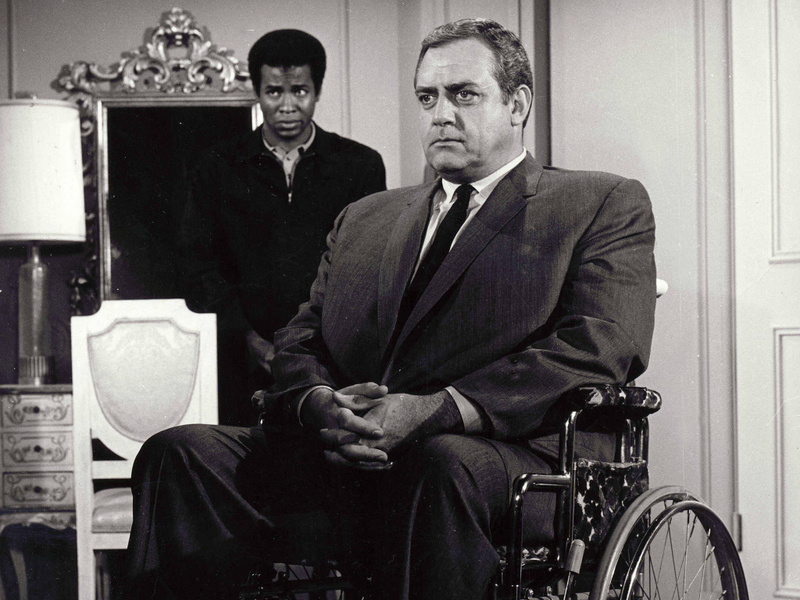 In the pilot episode, San Francisco Chief of Detectives Robert T. Ironside is wounded by a sniper during an attempt on his life and, after his recovery, uses a wheelchair for mobility, in the first crime drama show to star a police officer with a disability. Burr said that he weighed 12.75 pounds at birth, and was chubby throughout his childhood. "When you're a little fat boy in public school, or any kind of school, you're just persecuted something awful," he remembered. Burr's weight, always an issue for him in getting roles, became a public relations problem when Johnny Carson began making jokes about him during his Tonight Show monologues. Burr refused to appear as Carson's guest from then on, and told Us Weekly years later: "I have been asked a number of times to do his show and I won't do it. Because I like NBC. He's doing an NBC show. If I went on I'd have some things to say, not just about the bad jokes he's done about me, but bad jokes he does about everybody who can't fight back because they aren't there. And that wouldn't be good for NBC." Burr married actress Isabella Ward (1919–2004) on January 10, 1948. They met in 1943 while Ward was a student at the Pasadena Playhouse, where Burr was teaching. They met again in 1947, when Ward was in California with a short-lived theatre company. 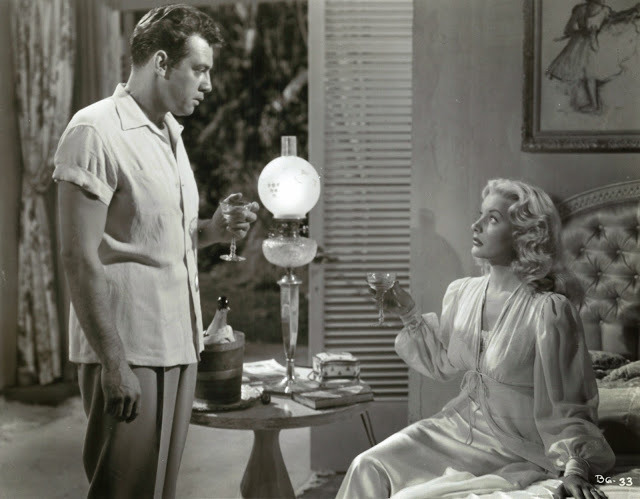 They were married shortly before Burr began work on the 1948 film noir, Pitfall. The couple lived in a basement apartment in a large house in Hollywood that Burr shared with his mother and grandparents. The marriage ended within months, and Ward returned to her native Delaware. They divorced in 1952, and neither remarried. In the mid-1950s, Burr met Robert Benevides (born February 9, 1930, Visalia, California) a young actor and Korean War veteran (shown at right with Burr), on the set of Perry Mason. According to Benevides, they became a couple around 1960. Benevides gave up acting in 1963, and later became a production consultant for 21 of the Perry Mason TV movies. Together they owned and operated an orchid business and then a vineyard, in California's Dry Creek Valley. They were partners until Burr's death in 1993. Burr bequeathed to Benevides his entire estate, including "all my jewelry, clothing, books, works of art … and other items of a personal nature." Benevides subsequently renamed the Dry Creek property Raymond Burr Vineyards (reportedly against Burr's wishes) and managed it as a commercial enterprise. In the late 1950s, Burr was rumored to be romantically involved with Natalie Wood. Wood's agent sent her on public dates so she could be noticed by directors and producers, and so the men she dated could present themselves in public as heterosexuals. Burr reportedly resented Warner Bros.' decision to promote her attachment to another gay actor, Tab Hunter, rather than him. Robert Benevides later said, "He was a little bitter about it. He was really in love with her, I guess." Later accounts of Burr's life explain that he hid his gay sexuality to protect his career. 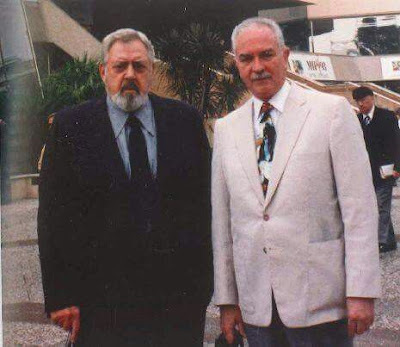 "That was a time in Hollywood history when homosexuality was not countenanced," Associated Press reporter Bob Thomas recalled in a 2000 episode of Biography. "Ray was not a romantic star by any means, but he was a very popular figure … If it was revealed at that time in Hollywood history it would have been very difficult for him to continue." 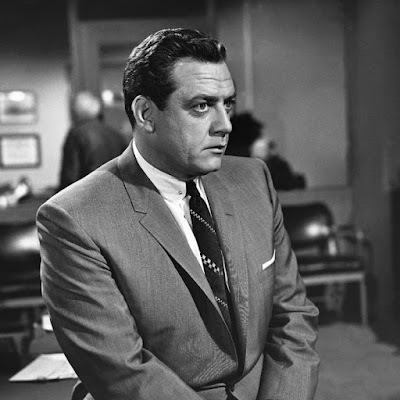 During the filming of his last Perry Mason movie in the spring of 1993, Raymond Burr fell ill. A Viacom spokesperson told the media that the illness might be related to the renal cell carcinoma (malignant kidney tumor) that Burr had removed that February. It was determined that the cancer had spread to his liver and was at that point inoperable. Burr threw several "goodbye parties" before his death on September 12, 1993, at his Sonoma County ranch near Healdsburg. He was 76 years old. Wow you surprise me almost every day, I didn't know he was gay. My parents loved to watch old reruns of his shows. Even though I watch him twice daily (Perry Mason), and on weekends (Ironside), I found myself thinking of him more than usual the past few days. I think of any actor, or interesting figure, I would have loved to have met him the most. Though closeted, like many during his time, he seemed to make the best of his life, despite a parochial society. I appreciated how loved music and the arts and tried to incorporate that and different social messages into each series. Some bold choices. And such an elegant man. I loved his turns in films (especially Rear Window), and times he got to do comedy on variety shows. He seemed to have such a good time with that, almost improvising with other actors. I always wondered how he got through the blacklisting and gay witch hunts as well as Stonewall, and the heartbreaking initial plague years. There always seemed a gentle stoicism to him. Not a day goes by when I wish had met him.